The loss of my pregnancy. It seems awfully hard that the first news that most of you hear about my pregnancy is also the same news that it has ended early, but so it goes sometimes. I would have been 8 weeks along yesterday. I perhaps should have recognized earlier on than I did that my pregnancy wasn’t going to go full-term because I felt SO GOOD compared to when I was pregnant with Raven—my symptoms were mild, I still had a hearty appetite, and I was still able to go to my exercise classes three times a week. Then, about a week ago, all of my pregnancy symptoms (subtle though they’d been) abruptly stopped, and I started cramping pretty consistently. Not one to worry *too* much, I didn’t think too much of it at first, but then started to get increasingly anxious about the pregnancy the longer it went on. Because we’d wanted to announce to our families that I was pregnant last weekend (since most everyone was going to be around because of everything going on), I felt like I’d better get a blood test done just in case to make sure that everything still looked okay. I found out I was having a miscarriage mere minutes before Matt got home from work on Friday, just before we were heading out of town for the weekend. I don’t know if it was due to pessimism or a premonition or what, but I’ve ALWAYS felt like I was going to have a miscarriage at some point (not with this pregnancy, per se, but just period). I’d hear about other women’s experiences with them, and I just had this feeling that someday, I would know what that pain felt like. 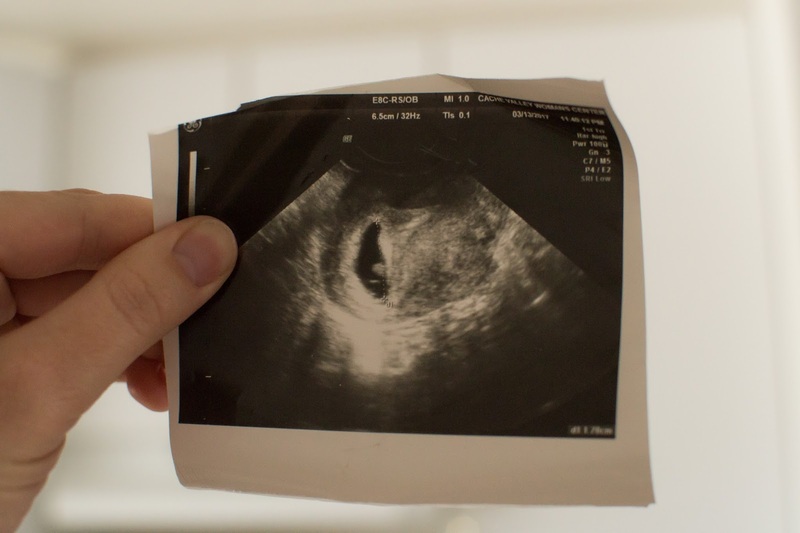 I found out I was pregnant on Valentine’s Day morning, when I took a test three days early (doubting that anything would show up, but eager to give Matt a very special surprise if it did) and was exceedingly surprised to see a definite plus sign show up on the stick. I had bought a newborn onesie just in case my “plan” worked out, so Matt and Raven unwrapped the above surprise first thing on Valentine’s Day morning. 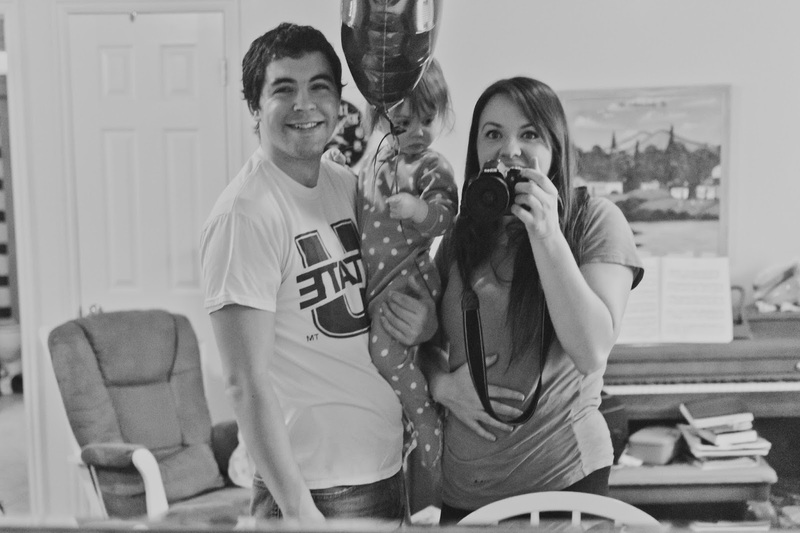 We took our first picture together as a newly formed family of four (with the fourth member being too tiny to see, but still happily welcome), and I rejoiced to think that, though we’d had to wait longer than we’d originally wanted to because of my autoimmune disease, we were still able to get pregnant relatively quickly (and for a baby due in late October, which is literally EXACTLY what I’ve wanted for awhile now). 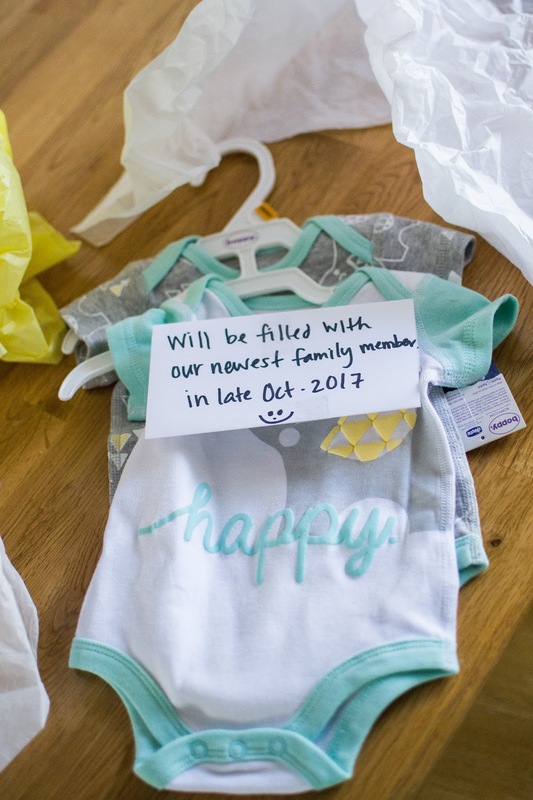 After finding out about the miscarriage on Friday, I have gone through the gamut of emotions, it seems—I have crumpled into a ball on our kitchen floor and sobbed my eyes out; I have felt relief that I at least know that I wasn’t going crazy for suspecting something (since one of the nurses I called to request a test was not super kind about it and seemed to think I was just being ridiculous for requesting one); I have felt hope that there is a greater plan in store for us that we cannot see now but that we maybe will someday; I have felt uncertainty and fear that I may never have a viable pregnancy again. It is hard to see a dream slip away from you, knowing there’s absolutely nothing you can do. It was hard to go in for an ultrasound yesterday only to find that there was no visible baby to even mourn—just a seemingly empty sack attached to a still-working placenta (otherwise known as a blighted ovum miscarriage). It was hard to think that for this last month, while we’ve nursed this happy secret and tried to make healthy choices and thought about the little soul I was sharing my body with, my pregnancy was over almost as soon as it had begun, and we just didn’t know it. We have hope there will be other pregnancies, other babies to celebrate. But we still mourn the loss of this one.